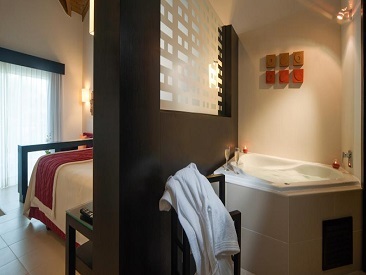 Enjoy the active, adults only (18+) Punta Cana Princess All Suites Resort along with full exchange privileges at two sister properties, tripling your choices for fun and entertainment. 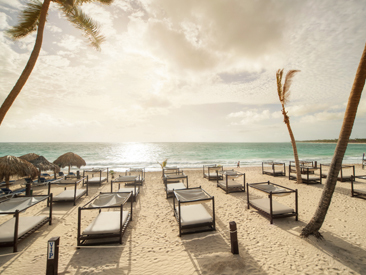 Amid hundreds of coconut trees, tropical mangroves and exotic gardens, the Punta Cana Princess is the perfect beachfront getaway. 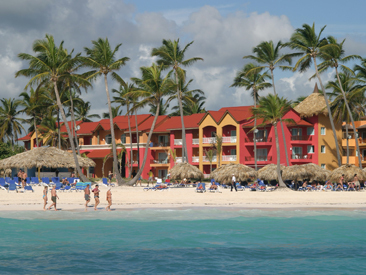 Beautifully appointed suites, complimentary Wi-Fi in the hotel lobby, all-inclusive service, land and water activities and sports galore, excellent dining, nightly entertainment and friendly service make the Punta Cana Princess a true island vacation value. Triple the fun at three Princess resorts including Caribe Club Princess and Tropical Princess Beach hotels!